Indulge in a taste of the most superlative of Southern Africa on this tour of some of the most desired destinations in the region. From the cosmopolitan streets of Cape Town, start your journey with visits to the Cape of Good Hope and the blossoming bounty of Kirstenbosch. Sip from the very best of the winelands and gaze down on the cultural center of South Africa from the top of its most famous mountain. Leave civilization for an inlet of wilderness and water so massive that it can be viewed from outer space, trading the sophistication of the African elite for the roars of the primal animal kingdom. Top it all off at the largest waterfall in the world, surrounded by mist and the mighty rumble of a natural world wonder. This is the ultimate highlights reel of Southern Africa, a whirlwind of experiences that will send your mind reeling and your heart soaring. Your journey begins as you board your overnight flight to Cape Town, arriving the next day. Transfer one of the most historic and iconic hotels in Cape Town and spend the rest of the day at leisure. BELMOND MOUNT NELSON HOTEL. 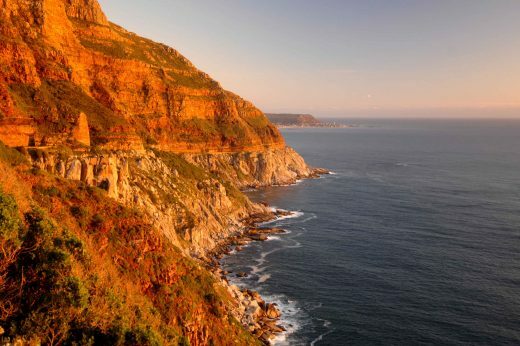 Coast down the highway alongside quaint seaside towns, rugged shorelines, and majestic rock formations as you make your way to the Cape of Good Hope Nature Reserve. At Cape Point, rare proteas bloom vibrantly against the grasses and endemic species such as Cape grysbok, Cape mountain zebra, and Cape fox frolic nearby. Get up close to braying African “jackass” penguins at Boulders Beach. Next, explore the world-renowned Kirstenbosch Botanical Gardens, a testament to the original Dutch botanists in this area and preservation of the beautiful ecological diversity of South Africa. Tonight, sit down for a welcome dinner at the hotel with your fellow travelers. BELMOND MOUNT NELSON HOTEL. Ascend Table Mountain in a cable car and share the magnificent views with scampering hyraxes. A World Heritage Site, Table Mountain is brimming with an active and diverse bird population and boasts 1,470 plant species. 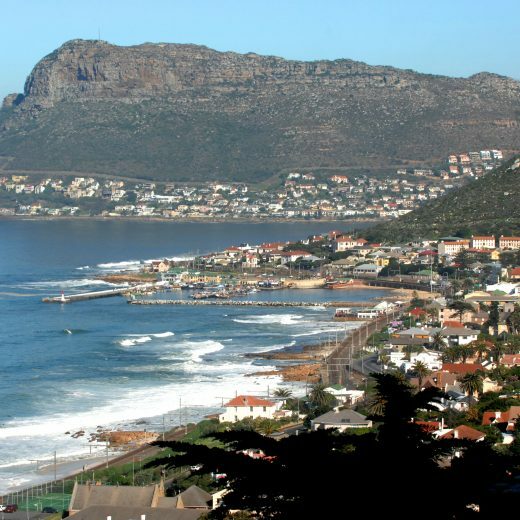 Afterward, venture off on a scenic expedition to the winelands region, situated below the spectacular Boland Mountains. Here you’ll discover the internationally acclaimed vineyards of Stellenbosch, Paarl, and Franschhoek on the Western Cape. Visit the estate of Boschendal, with its brilliantly preserved Cape Dutch architecture and period furniture. All the wine estates you’ll visit in the region offer tastings and cellar tours and you’ll enjoy lunch in one of them. Return to Cape Town in the late afternoon where your evening is free to relax or explore at your leisure.BELMOND MOUNT NELSON HOTEL. Transfer to the airport and fly to Maun, where you’ll catch a light aircraft to the world’s largest inland water system, the Okavango Delta. Situated on the banks of the Khwai River, Belmond Khwai River Lodge overlooks the vast floodplains of the Moremi Wildlife Reserve and is known for its exceptional range of big game, including lion, hippo, and cheetah. Your days here are designed for luxury with private viewing balconies and indulgent spa services. Activities include morning and afternoon game drives in open land cruisers, perfect for ensuring that your view of the Delta is unobstructed. By night, indulge in guided stargazing under the glittering expanse of a night sky unfiltered by city lights before heading out on spotlight night drives, where the nocturnal creatures can be spotted. Local villages are always eager to meet travelers, and a cultural visit will be organized, time permitting. BELMOND KHWAI RIVER LODGE. Jet via light aircraft to the Savute region of the Chobe National Park. Perched on the banks of the Savute Channel, the Savute Elephant Camp offers a spectacular birds-eye-view of elephant in their natural habitat. Prides of lion up to 40 strong prowl this wilderness, making for excellent chances of seeing them in action. 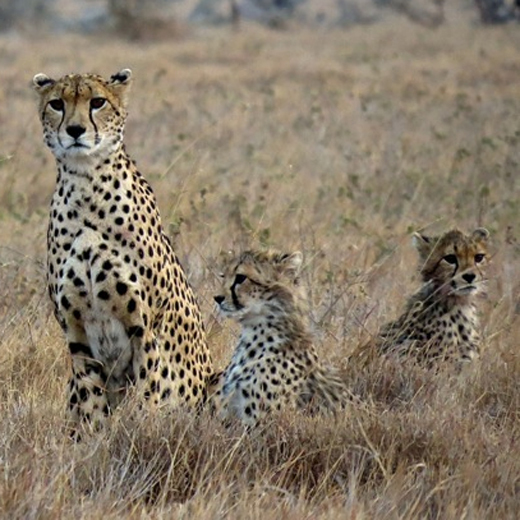 Keep your cameras ready as you search for predators such as endangered wild dog, leopard, and hyena. The draw of the channel is not limited to animals. Humans have long found this scenic paradise welcoming, as evidenced by the rock paintings drawn by the early San Bushmen and the spectacular Gametrackers Baobab trees. 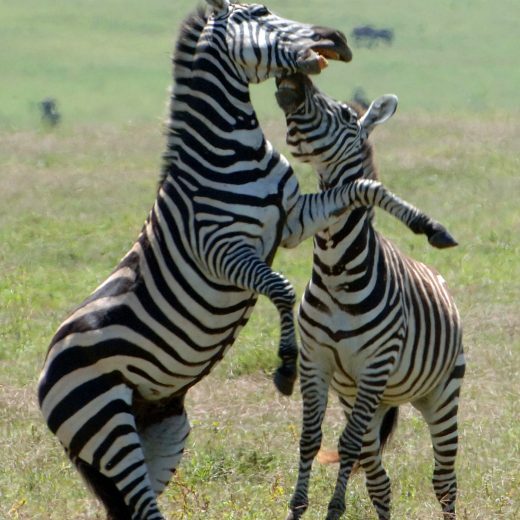 Nearby is the former Savute Marsh, which is now a dry expanse of land that plays home to the zebra migration during the months of February and October. Birding here is excellent, with over 250 species dotting the skies, many of them endemic to the area. BELMOND SAVUTE ELEPHANT CAMP. Today you will connect via via light aircraft to Kasane and then by road transfer your hotel in Victoria Falls, Zimbabwe, on the banks of the mighty Zambezi River. Five separate cascades, plunging more than 300 feet with a thunderous roar comprise the world’s largest waterfall. Enjoy a private sundowner cruise along the Zambezi River. Feel the mist on your face during a guided tour of the Falls. Visit a native village to experience their way of life. VICTORIA FALLS HOTEL. A morning at leisure before your transfer to the airport for your return flights home. Maximum group size: 24 travelers. Savute Elephant Camp only has 12 rooms; Kwhai River has 14. All flights between the Botswana camps; road transfer to Victoria Falls. On the post-extension to Kruger, roundtrip flights between Johannesburg and Skukuza. All meals while on safari. Other meals as specified in itinerary. 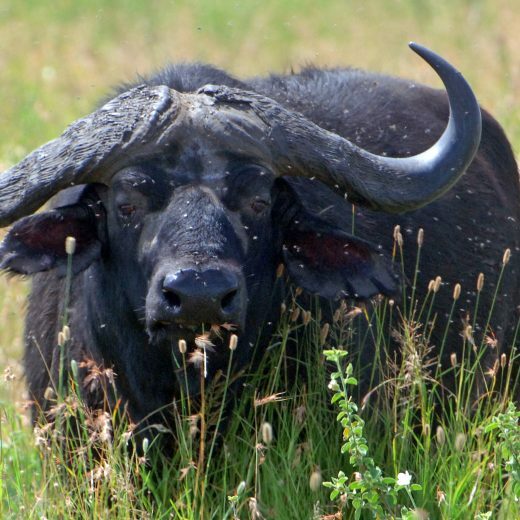 All wildlife viewing by 4X4 open vehicles, driven by professional rangers. Laundry and all domestic beverages (beers, juices, house wines, sodas and some domestic liquors, excluding Champagne and premium brands) at camps in Botswana. Complimentary bottled water in vehicles throughout. All park entry fees and sightseeing as specified. No matter when South Africa is visited, it is a stunning country and one is sure to delight in its offerings. South Africa is affected by the waters surrounding the country on three sides, and thus there’s variation in the weather pattern depending on what part of the country visited. In Cape Town, the winter months (June-August) are mild and changeable; this is also the time when most of the rainfall occurs in the Cape. Summer months (January-March) around Cape Town are generally dry. On the high veld, in the center of South Africa around Johannesburg, there are sharp differences of temperature between day and night and it can be quite cold during the winter months. During the summer months at Kruger (December-March,) there can be sporadic rainfall in the form of quick thunder showers, but wildlife viewing is superb no matter when visited. April through August represent the winter months in Southern Africa which in turn means very little rain in most of the country, except for the Cape. South Africa is incredible to visit, particularly the Cape, during the Spring, when the wildflowers are in bloom – generally midAugust through September. Marine enthusiasts should consider visiting between June and November when the Southern Right Whales congregate in the waters.